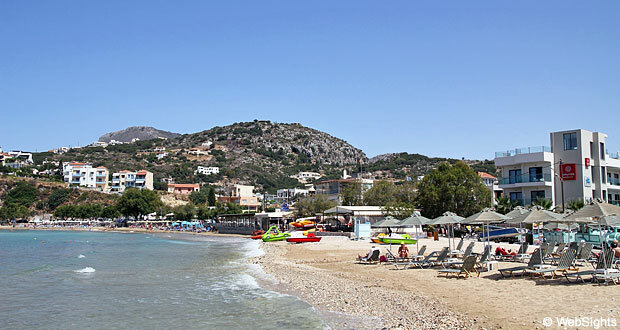 Almyrida is a lovely fishing village and seaside resort on the north coast of Crete about 15km east of Chania. 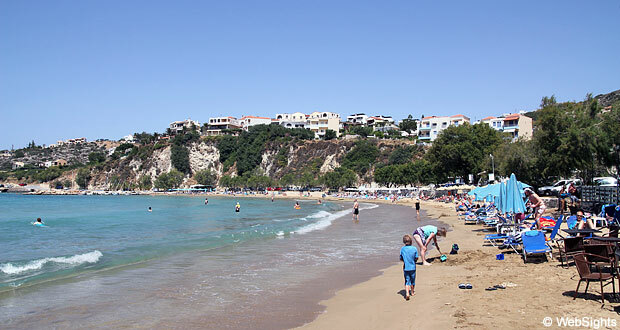 Almyrida has two sandy beaches, which are fully organised with sun beds, umbrellas, showers, toilets and a lifeguard. The water is crystal clear and ideal for swimming and snorkelling. The beaches are awarded with the prestigious Blue Flag for clean water, environmental management, safety and services. Almyrida also has a third beach with pebbles. 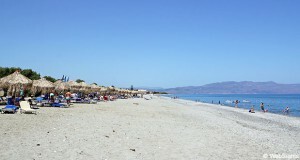 This beach is situated west of the village and has no facilities. The sea is quite shallow, especially the eastern end, making it ideal for families with small children. Water sport facilities include various boats, windsurfing equipment, kayaks, pedalos and diving. 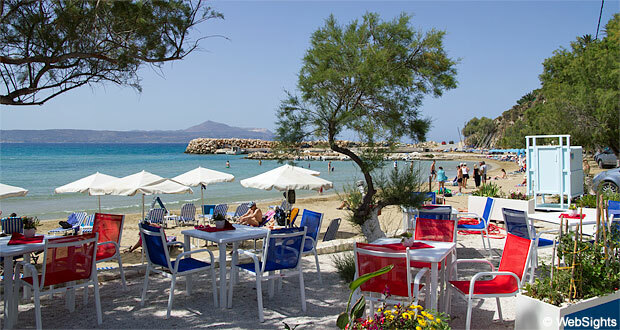 Behind the beach you find several restaurants and cafés with lovely views to the sea. 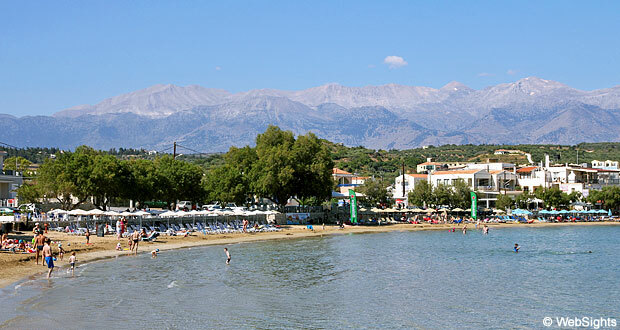 Almyrida is a quite relaxed resort and an ideal choice for families with small children. There are a number of hotels, with Almyrida Beach Hotel and Almyrida Beach Residence being two of the most popular hotels among tourists from all over Europe. The village has a variety of restaurants, cafés and even cocktail bars. You will also find a few mini-markets, tourist shops and car rental companies, all of which are open late into the night in the tourist season. The area around Almyrida is wonderful, with its picturesque villages like Plaka and Kokkino, and glorious views of the White Mountains (Lefka Ori). 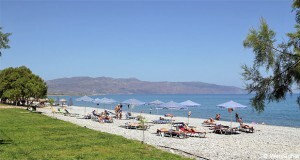 The larger city of Chania is only a short distance away and you can easily go there by bus.